This cookbook is filled with amazing recipes that also happen to be vegan. This means that they have no eggs or dairy (read: butter) in them yet somehow they are still amazing. 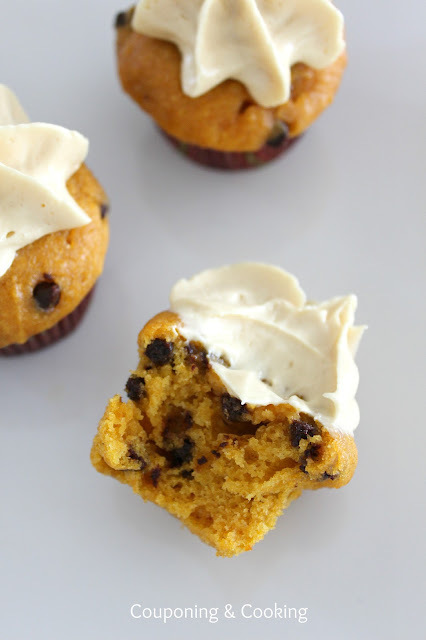 The best recipe in my opinion, and that of my family and coworkers, is the Pumpkin Chocolate Chip Cupcakes. I call them almost vegan because I don't always use almond milk instead of regular milk. I also do not pair them with a vegan icing although the one in the book looks amazing too. 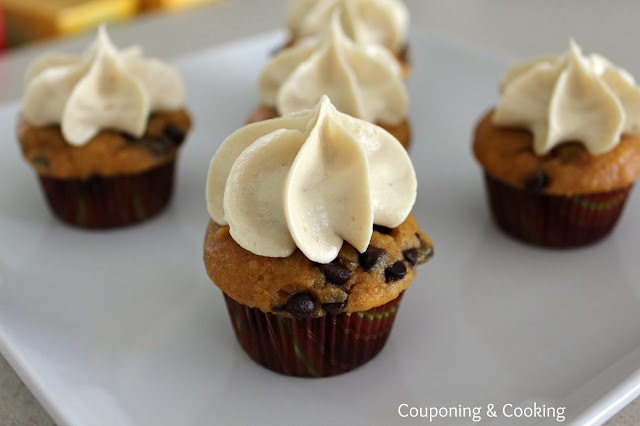 I pair these cupcakes with an icing recipe from Martha Stewart's Cupcakes. 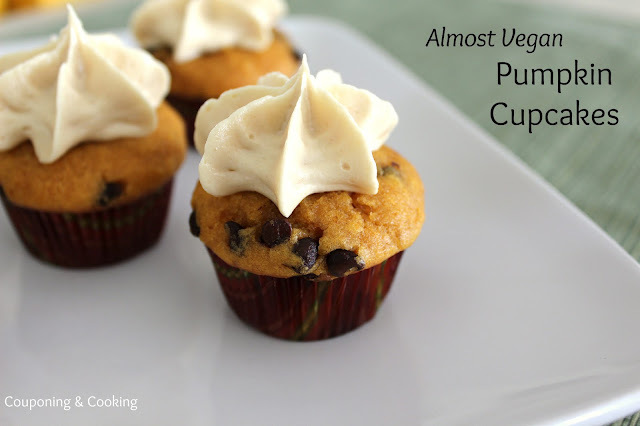 You can make this recipe using a regular cupcake pan or in mini version. Here are the recipes! 1. Preheat oven to 350ºF. Line muffin pan with cupcake liners. 2. In a medium bowl, stir together pumpkin, oil, sugar, soy milk, and vanilla. Sift in the flour, baking powder, baking soda, cinnamon, salt. Stir together with a fork— don’t use a handheld mixer, as it will make the batter gummy. Once well combined, fold in the chocolate chips. 3. Fill liners two-thirds full. Bake for 22 to 24 minutes (10-12 minutes if making the minis). Transfer to a wire rack and let fully cool before icing. 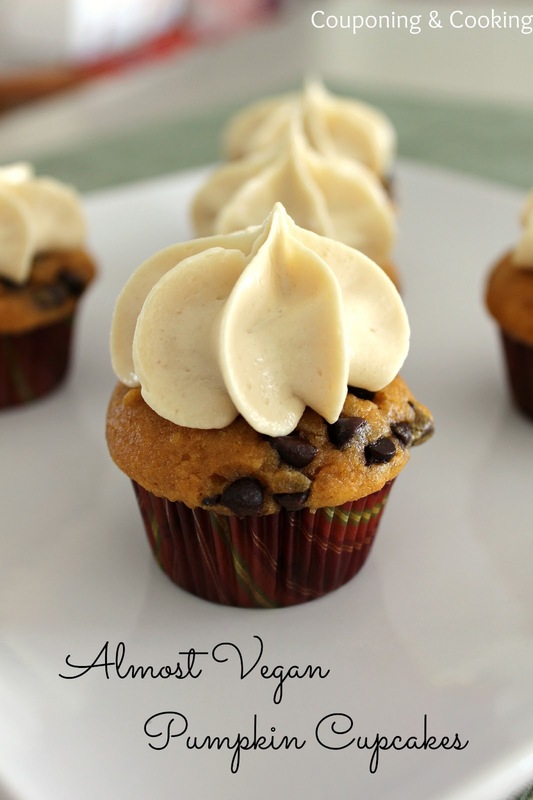 Beat all 3 ingredients on medium-high with an electric mixer until smooth and creamy. Best use immediately but can be refrigerated for up to 3 days. Ice cupcakes only when they are completely cooled for best results. We are not vegan and my children request cupcakes made from the recipes in this book. I love that I can make most of them with staples I have on hand. Yummy! Thanks so much for linking up to the Thanksgiving Treats & Fall Festival Fun Link Party. Have a wonderful Tuesday!